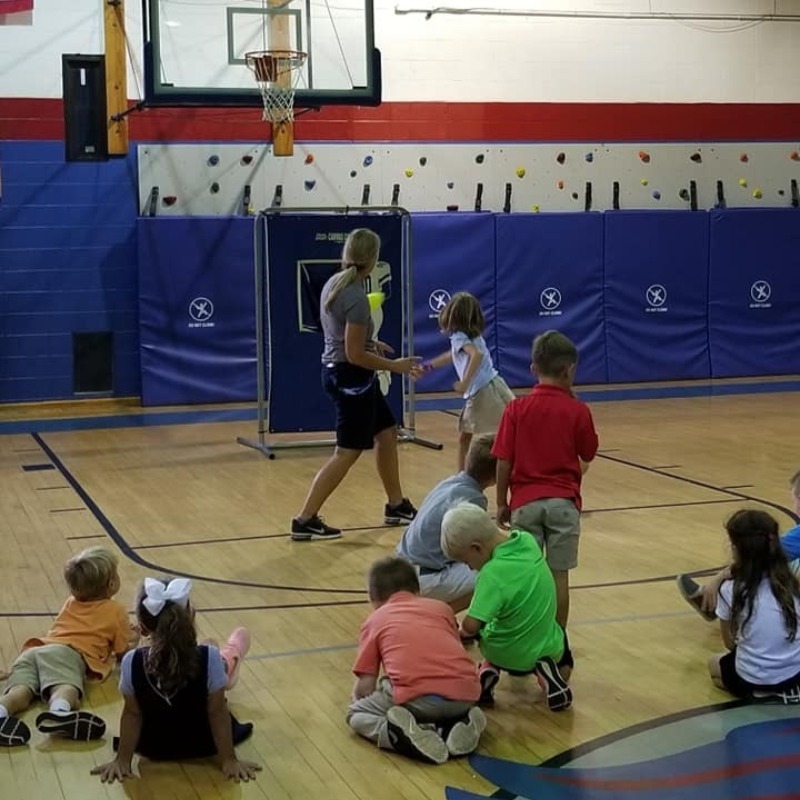 Students in Kindergarten - 8th grade take part in Physical Education (P.E.) twice per week for 45 minutes and work on a variety of fun, healthy and engaging physical activities. Kindergarten through Second Grade: Students work on large/gross motor skills, a variety of sports skills, how to work as a team as well as learn about healthy living practices. 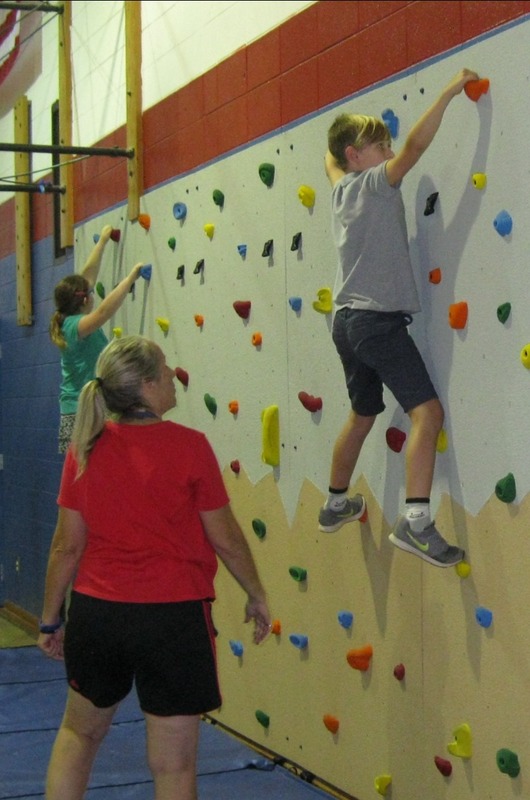 Third through Fifth Grade: Students work on basic motor skills such as running, jumping, kicking, catching and throwing, all of which are used in combination with aerobic activities and *lead-up games. Team games and sports are part of the curriculum. 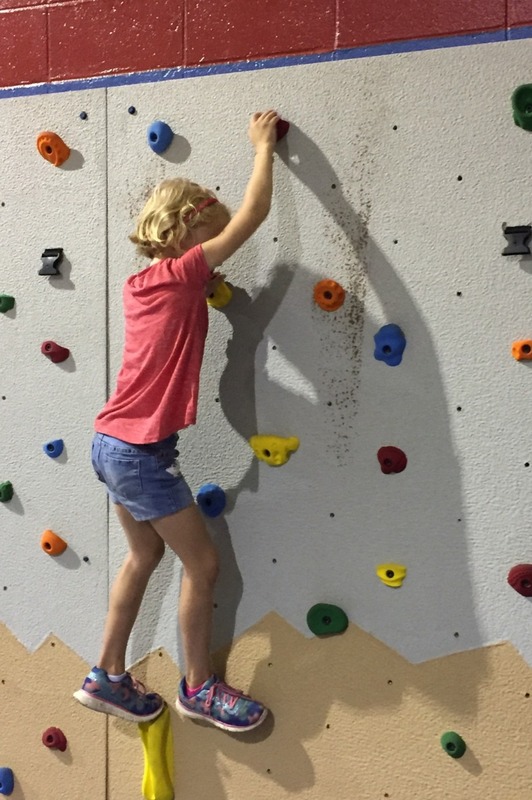 Sixth through Eighth Grade: Team sports are taught through *lead-up games and simplified rules of the sports that require gross motor skills. Soccer, football, basketball, volleyball, baseball, track and field and speedball are used to teach skills and fundamentals. *Many students enjoy the game aspect of sports, but don’t enjoy practicing isolated skills. Typically, students become more interested in learning if they play in game-like scenarios. Therefore, lead-up games provide an opportunity for students to practice skills in a simulated game situation. 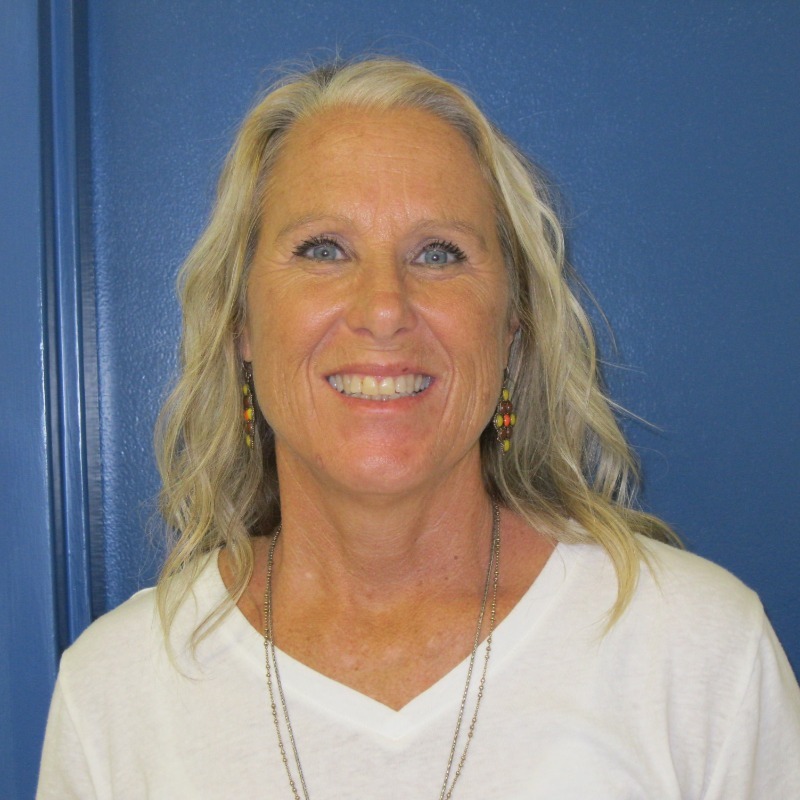 The combination of games and drills provides optimal learning experiences for the students. 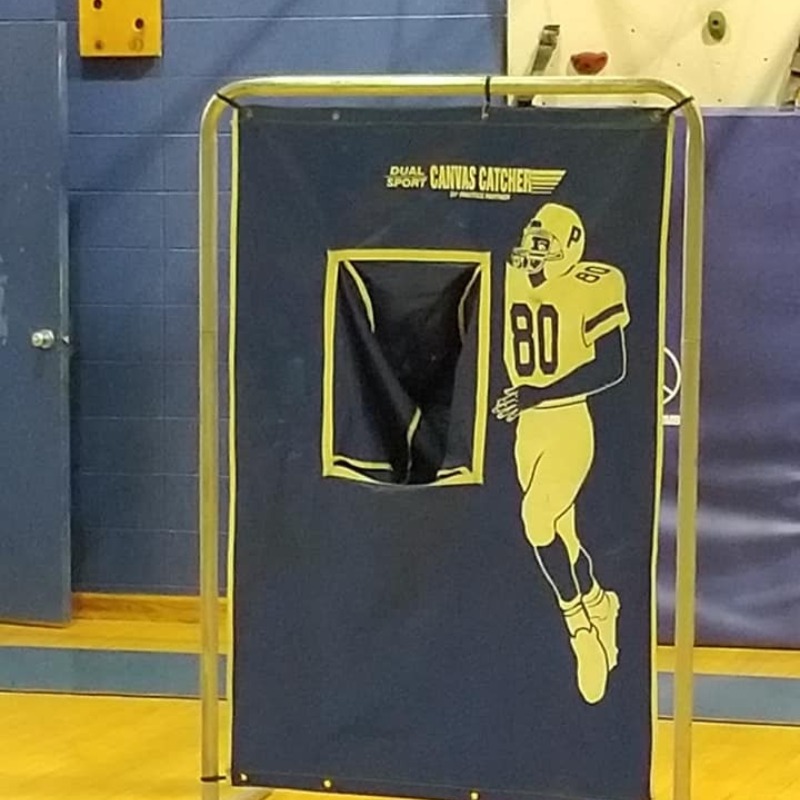 Mrs. Peggy started the new semester teaching football skills in P.E. 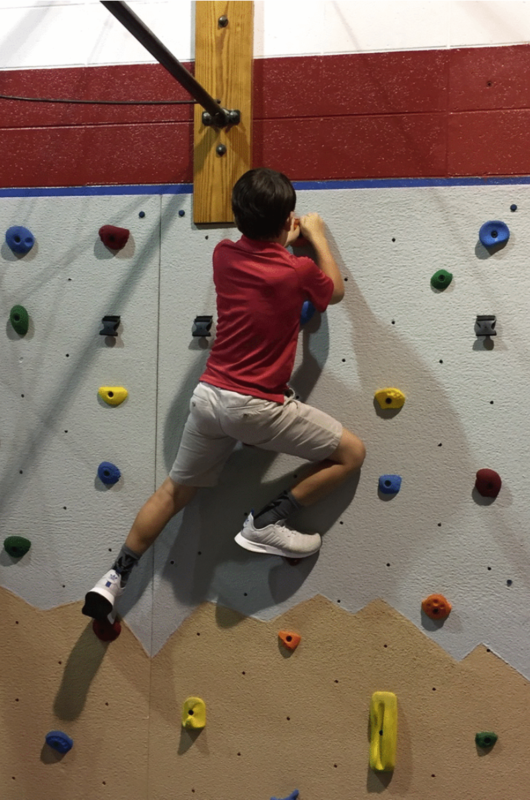 Students enjoy the climbing wall in the gym.